When 300 real estate brokers held a meeting in Surat and decided to stop buying, selling or renting any property to Muslim, it was not an ordinary event. Further, those renting their shops to Muslims have been asked to get them vacated. They took out a rally and an oath was also taken. 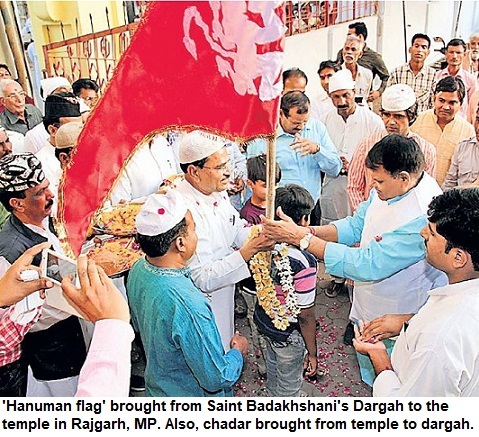 The fact that they were 'passionate' enough to hold a conclave and take the pledge that they would henceforth not deal with Muslims, illustrates the growing problem of communal segregation in India. It's more serious than lot of other frivolous issues, which the national media keeps discussing. It is something that ought to be taken up in Parliament. It's again a hate crime and more than that it is anti-national and divisive activity. It was more extraordinary that they had the audacity to publicly spell out their prejudice. So what's their problem with the Muslims? Because the name of Muslims of India are similar to those involved in terror activities from the other side of the border. Is it rational. Who they are taking their revenge upon? It's on India. Across North, Central and Western India, builders and real estate agents are busy making colonies that are 'free of Muslims'. This is fast creating a social imbalance in urban India. When Muslims are pushed into ghettoes, it helps neither the Muslims nor the non-Muslims. Even RSS wouldn't want it. They are at least smart enough to know that when you push Muslims in a particular area in every City then it means concentrating their population. They are suspicious of Muslims and don't like them but this form of hate is a relatively new phenomenon witnesses since 1992-93. Once again, I feel, education doesn't necessarily bring you any knowledge or wisdom. People keep reiterating that education is the key to solving lot of problems. Unfortunately, it doesn't enlighten. Sections of 'educated' urban Indian populace now want their buildings, societies and campuses without any Muslim. This is an issue that requires an urgent attention. Our leaders, courts, media, activists and all of us should focus on it. Indian Express writes an editorial on the builders' boycott of Muslims. We are all united against terror. We should be united against this bigotry as well. Are we heading for a Nazi Germany era when Jews lived in their ghettos. 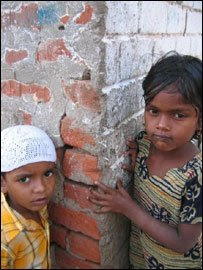 Muslim are too numerous in India and such isolation will be extremely devastating for the nation and will have far-reaching implications in inter-community relations. We need to be alarmed but we aren't. I reallly don't know how we can stop such criminal acts of social discrimination unless government, police and administration (also the society) become sensitive to it and enforce the existing laws to deal with such elements sternly. Or we will just keep writing about it, discussing and forgetting. Will Supreme Court entertain a PIL in this regard! The Sarva Dharma Utsava Samiti (SDUS) has condemned the decision of real-estate agents and demanded the government to take action against them. The organisation chief Dhansukh Rajput has urged the police commissioner to file case such agents and brokers under section 153 (A) and (B) for anti-national activities. 1. No house for Muslims in Mumbai localities and Shabana Azmi's comments. 2. What about ghettoes of vegetarians, Gujaratis and other caste groups? Is it the end of Uma Bharti's political career?